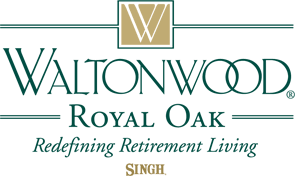 Find the home that perfectly suits your lifestyle at Waltonwood Royal Oak. Our apartment homes are equipped with the necessities you need to feel comfortable for years to come. Learn more about our floor plans with a personalized tour. Our knowledgeable and professional staff is here to show you the benefits of low-maintenance living.